The ubiquitous "Principles of Dungganon" sign. 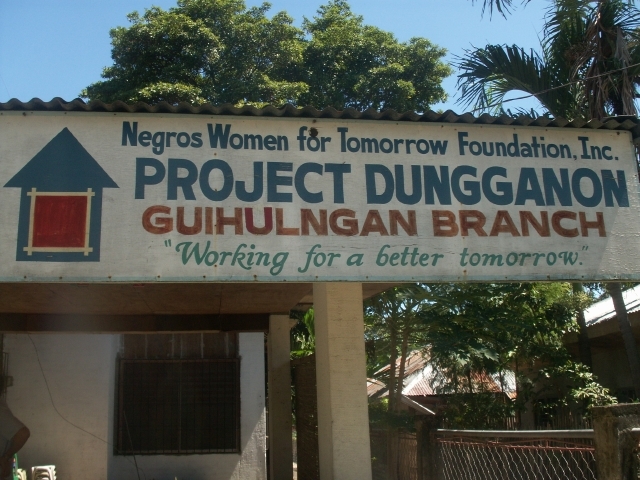 This weekend I went to Cebu, an island east of Negros, for the Kiva rollout in the NWTF branches. I traveled as part of a five-person team, including Massah, the photography consultant, Raymond, the research manager, Jubert, the IT manager, and Presy, the Kiva coordinator. 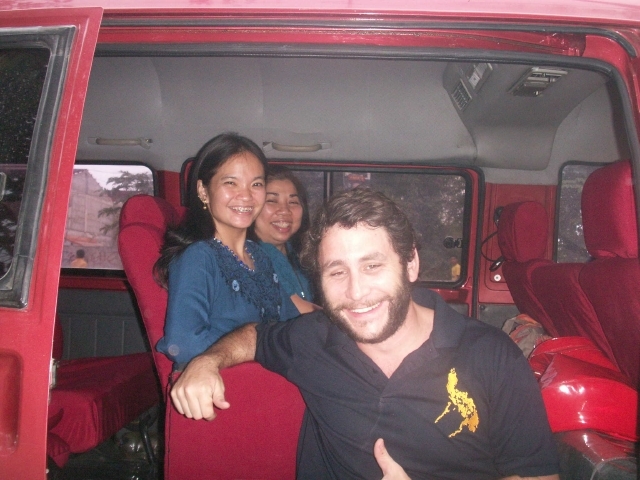 Pocholo, a friend of Raymond’s, needed a lift to Cebu and caught a ride with us. The six of us loaded the infamous red van and left at 7 AM on Thursday morning. The road to the port in San Carlos normally takes 3.5 hours, but we chose to take a shortcut through the mountains on a winding two-lane road cut neatly into the side of a cliff. Unfortunately, by the time we arrived at the port, the ferry was full. The next ferry didn’t leave until 2:30 in the afternoon, so we drove three hours south along a coastal road to another port in Aclan, where the ferry leaves every hour and takes 30 minutes to cross. Once on the other side, we had another three-hour trip back up north. Twelve hours later, we arrived in Cebu City and checked into a hotel. With the group after the first presentation. 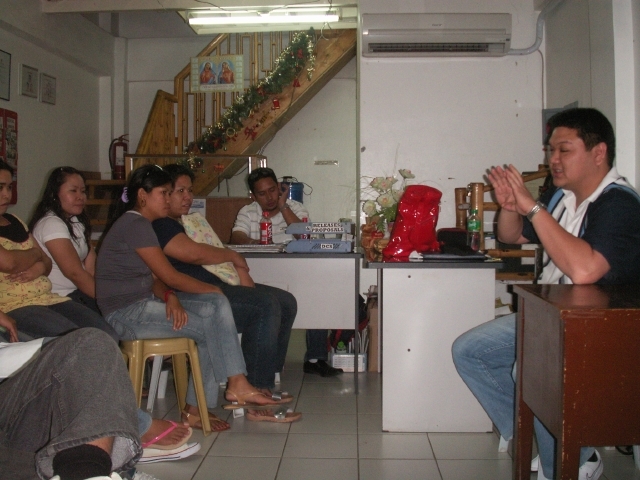 Raymond presents to the Compostela branch. 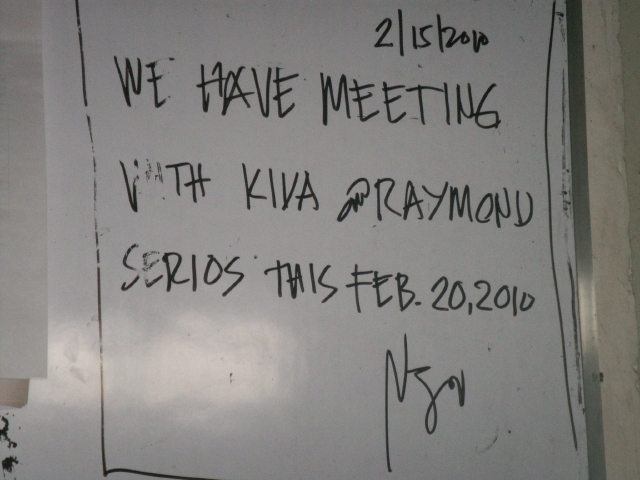 Raymond was next, discussing the benefits of partnering with Kiva for the MFI. 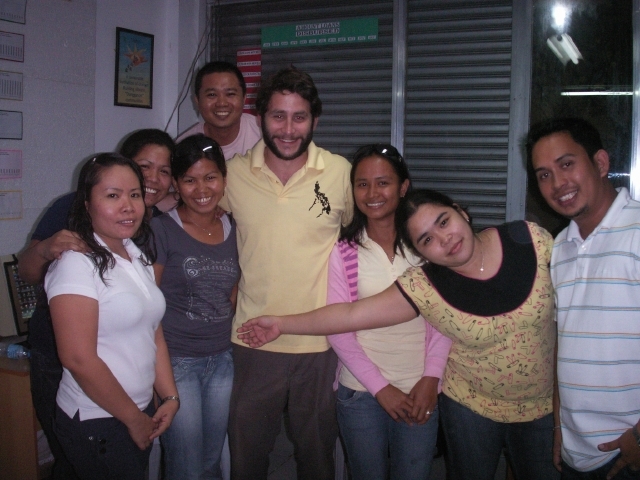 He describes Kiva by comparing it to Facebook and Friendster – website familiar to everyone. Talking about the specific benefits is a tricky subject, because Kiva requires a lot of extra effort on the already overworked loan officers. In addition to their normal routine, the loan officer needs to interview the client about her business and her family and snap a picture for the website. Then, the encoder (data entry) at the branch has to type up a profile and send to the head officer, where it’s uploaded to the website. It is important to convince the loan officers that it is in their best interest and that of the organization to participate. 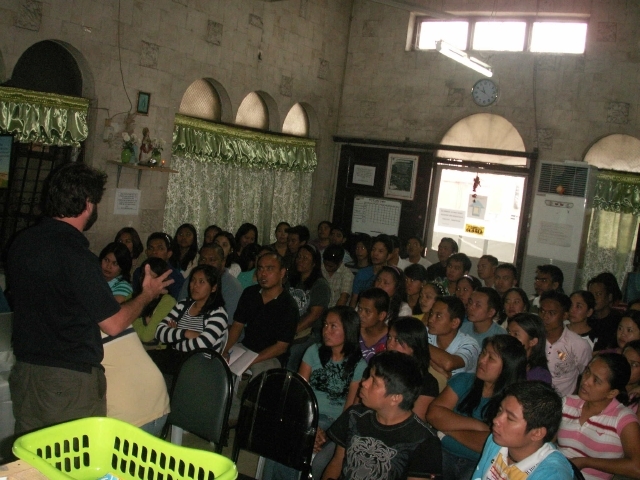 Kiva offers 0% interest on loans, lowering the overall cost of capital to the organization. That additional capital can then be redistributed within the organization, or spent on services for borrowers. Extra money could mean higher salaries. Ergo, Kiva means higher salaries. Presy finished it off with a tutorial on the nuts and bolts of the Kiva process. She explains the process from start to finish, beginning with the identification of Kiva clients all the way to the point where it is uploaded to the site. 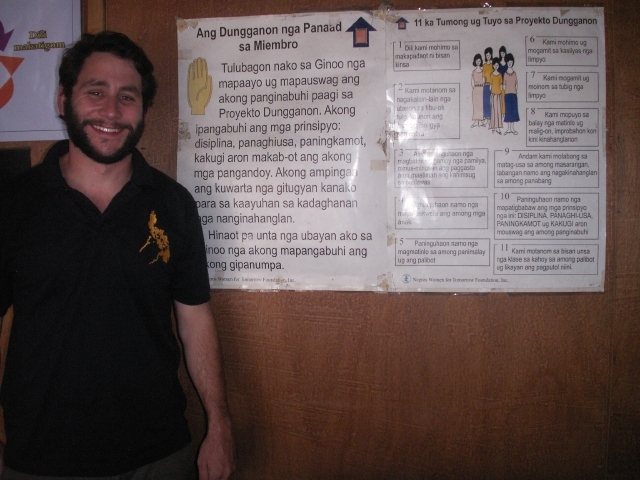 Jubert, who is currently attending law school full-time while working at NWTF (also full-time) missed the first session because he had to attend a mock trial competition between two universities in the Philippines. The winning team, who we ran into at the bar later that night, is heading to Washington D.C. for an international competition. We finished at 8:30 and headed back to the city for a night on the town. Me kicking off the presentation on the second day. On Saturday we showed up 30 minutes late for a 9:00 AM start time. 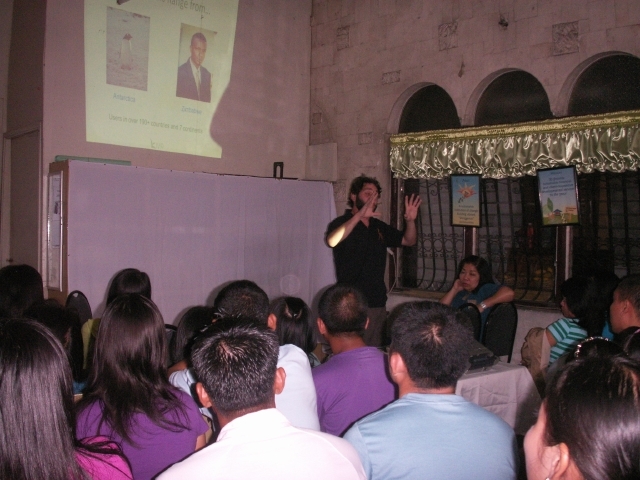 This time, the staff from five branches from across Cebu came to hear the presentation. Sixty people crammed into a room to hear us talk. I kicked things off with the first presentation, shortening things up and distilling the essence of Kiva into easily understood analogies, though I think I failed again to convey the message. Over the course of the next six hours, the other four, including Jubert, made their presentations while the rest of us struggled to stay awake. 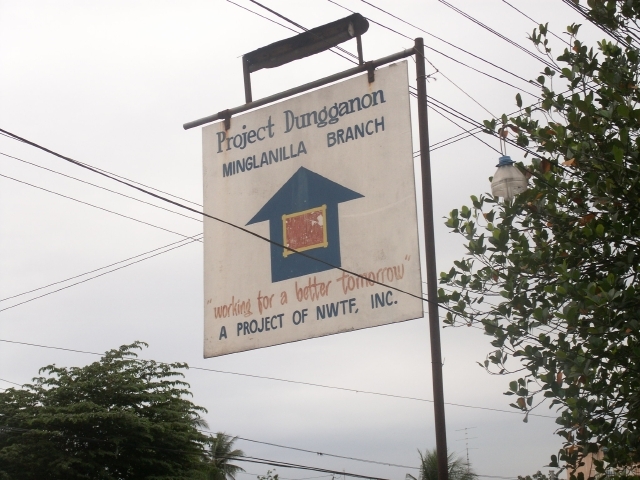 That night we dropped off the staff from the Cordova branch of Project Dungannon at SM mall in Cebu City and got out to walk around. 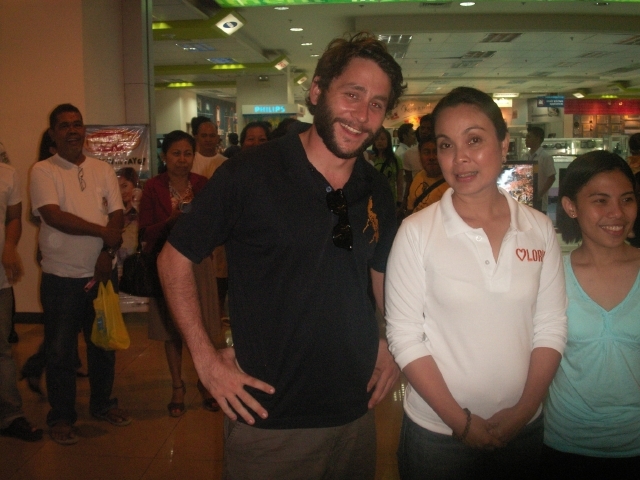 It is election season here in the Philippines and, by chance, Loren Legarda one of the candidates for vice-president happened to be campaigning in the mall. We had our picture taken together, though she had a stare akin to Medusa and was dismayed that I was not a registered voter. The photo is included below. Having gotten three hours of sleep the night before, and six the night before that, I fell asleep at 10, only to be up again at 4:00 AM to catch the ferry back to Negros. The Cordova branch catches a ride back. Between the market research trip to Capiz, Kiva work in La Castellana and Cadiz, the social performance monitoring conference in Manila, and three consecutive weekend excursions to Dumaguete, Bantayan, and Boracay, respectively, I’ve been burning the candle at both ends. A lack of sleep and generally lax approach to health and personal hygiene is beginning to take its toll. But I have a few weeks of peace ahead, until something new comes up, which is a mathematical certainty. At the end of March I hit the road again for two weeks in Thailand, a week in Laos, and ten days in South Korea, before heading on to points unknown. Over the next week, I will report on all that has happened and everything I’ve learned over the last two months. Here is a sampling of photos from the weekend. 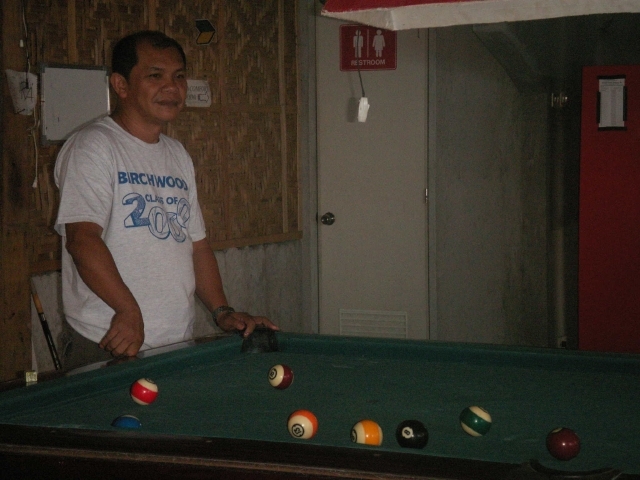 See the rest at my Picasa gallery. 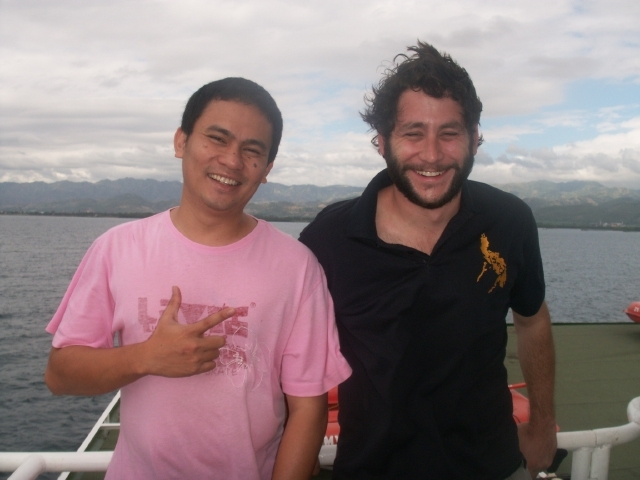 The ferry back to Negros with Jubert. A haggard-looking Josh on the ride home. Group photo on the second day. 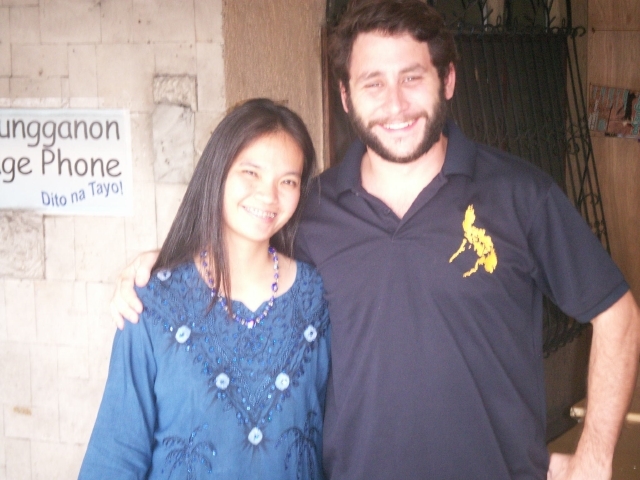 A chance meeting with vice-presidential candidate, Loren Legardo. A practice Kiva photo taken during Massah's photography workshop. 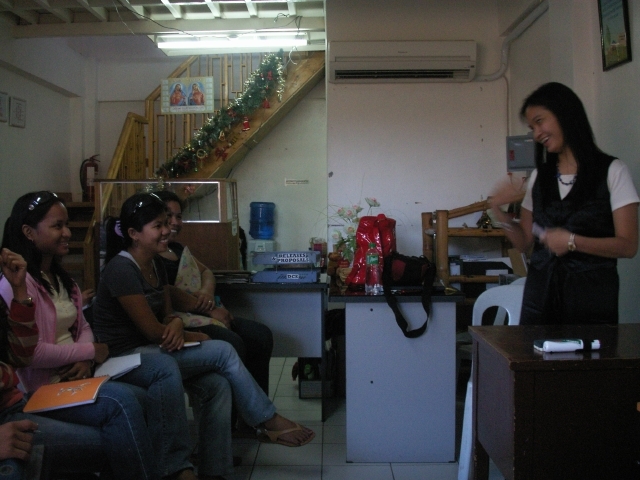 Massah entertains the Compostela branch. With Massah during a break. The location for the second day's presentation. In the van with Massah and Presy. 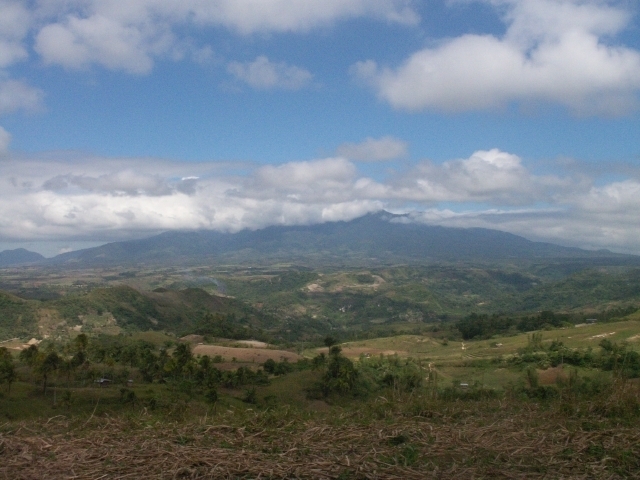 The view from the mountain road to San Carlos. A pit stop along the way. 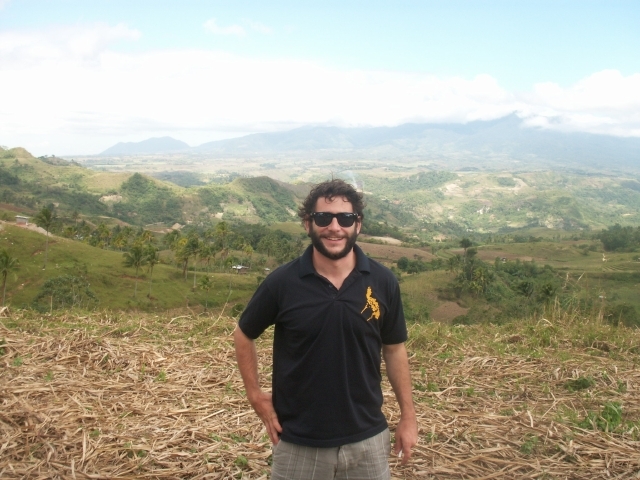 Fantastic post-I enjoyed it immensely and gives a great discussion of life in the Philippines and in the banking community as well as how the general population has to travel. It makes one appreciative of how comparatively easy it is in the US. By the way, what language are the talks given in and how well do they understand the English or do you have a translator?